Our core desire is to represent other attorneys in matters of grievance defense. We appreciate and empathize with every aspect of the grievance defense process. Your reputation and livelihood are at stake. We have a track record for championing fellow attorneys who have diligently worked on a matter with a client only to find themselves on the receiving end of a professional ethics misconduct allegation. Without delay, you must timely and fully respond to the complaint as provided by the Investigator from the State Bar. Don’t try this on your own. Don’t think you can pick up the phone or write a simple note and have the matter disposed of. The Investigator is not going to quietly withdraw because you told him that the matter alleged against you is frivolous or unwarranted. As with any case, defending against a grievance requires a skilled third party to represent your best interest. We bring valuable knowledge of the substantive rules of ethical conduct, the procedural process and the personal rapport with the individuals working for the Office of the Chief Disciplinary Counsel, i.e. the Investigator and the Attorney assigned to your case. We work within the system, not for the system and not against the system. We operate best on this premise. It’s a quality and method that translates to the most favorable solution for attorney grievance defense cases in Dallas County, Tarrant County, Collin County, Denton County and all other counties in Texas. We will develop and flesh-out the unique details of the attorney grievance complaint, your specific involvement, or lack thereof, in the matters surrounding the attorney grievance complaint, and, after we understand the nature of your practice, its operations, features and controls, we will coordinate a response to the complaint, together. However, we understand that for some attorneys, the mere thought of dealing with the details of a grievance can be so unnerving that they cannot work with us on defending against the grievance and then simultaneously deal with the day-to-day matters of their practice. In those instances, we may have to take charge and manage the matter with other resources available. I have helped attorneys all over the state of Texas, especially in Dallas, Fort Worth and Denton. Call me today or fill out the form below so we can get started on your attorney grievance defense case. Do not submit anything to the Court or the Bar before talking with me. That is the number one mistakes I see all of the time. You need specialized representation for this type of grievance defense. Your reputation and livelihood are at stake. Do not work the case alone without adequate counsel. Griffin Collie has been practicing law in Texas for over 25 years. 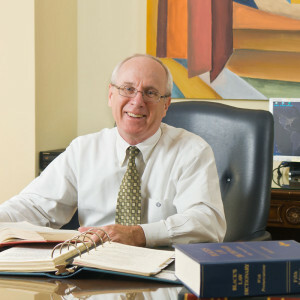 He founded The Collie Firm after obtaining his Juris Doctorate from the University of Arkansas School of Law in 1992. Since then, Griffin has been practicing law in Dallas, servicing clients from all over the state of Texas. Griffin has been living in Texas for over 40 years with his wife and two sons. He began his professional career in the banking industry until he attended law school in 1990. His experience as a bank executive gives him unique insights into the needs of his financial services clients. He is an active member of Rotary International, Sigma Chi Fraternity, and his community Church. He is on the Board of his law school, on the Advisory Board of UNT College of Music, and President of a non-profit charity based in Dallas known as Challenge Air for Kids. Griffin obtained his private pilot’s license in 1976 and his commercial pilot’s license in 2012. His hobbies include flying and playing with his dachshunds. Grievance defense is a process. Work through it with us. Please tell me a bit about your situation.